This article is the first of a two-part series exploring disability’s place in international development guidelines. In part two, IPS looks at why disability wasn’t included in Millennium Development Goals. Was it simply an oversight or due in part to its complex nature? UNITED NATIONS, Oct 1 2013 (IPS) - Amidst the incomprehensible suffering that followed the 2010 earthquake in Haiti, international aid agencies rushed to provide services to the displaced and injured. The lives of 4,000 severely wounded Haitians were saved by emergency amputations carried out by groups on the ground. Three years later, many of the NGOs have left, and the government of Haiti, still grappling with the disaster’s aftermath, will eventually have to be the primary care provider for tens of thousands of disabled survivors who will require a lifetime of medical services. That handoff, even if coordinated with the best of intentions, is still fraught with the complexities of disability. If emergency life-saving care is a medically and morally indisputable need, the aftermath and care of the chronically disabled is anything but well-defined, particularly in the developing world, say experts. “If someone has lost a leg in an earthquake, they need a replacement leg every few years for the rest of their life,” said Antony Duttine, a rehabilitation advisor at Handicap International. “There’s a constant need for rehab or prosthetic services,” he told IPS. The World Health Organisation estimates that even before the earthquake, Haiti was home to more than 800,000 people with disabilities. Their care can be overlooked when aid is earmarked for “crisis”. Often the poorest and most marginalised in the world, the disabled are hurt more than anyone by policies that diminish or ignore the importance of basic, long-term care. According to disability activists, the structure and language of international development goals can make the cards feel stacked against them. In 2000, the then-189 member states of the U.N. agreed on a set of eight Millennium Development Goals (MDGs) that would guide international development through 2015. None of the eight included language regarding disability. Shortly afterwards, groups wielding billions of dollars and mandates to save lives entered developing countries and infused their medical systems with never before seen levels of funding. The assistance, however, went to very specific targets. 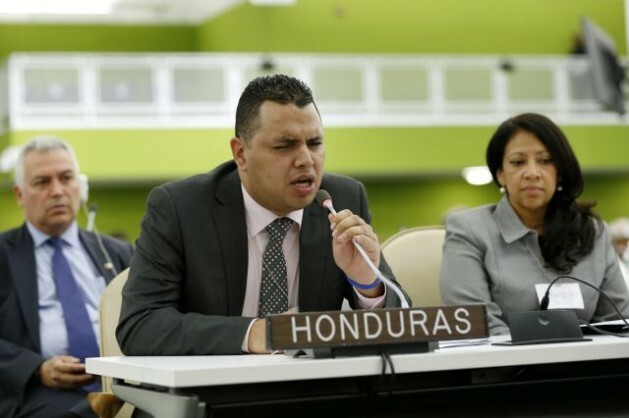 “Money from international agencies focuses on diseases like malaria and HIV/AIDS and not disability,” Orlando Javier Salgado Rubi, Honduran minister for disability affairs, told IPS. With the cash came metrics and a pinhole focus on diseases that can be treated or prevented with the latest pharmaceuticals and vaccines. Unlike hard to ascertain measurements of broad quality of life improvements, the statistical successes of these targeted programmes are easily tracked. The largest of the organisations involved in this push continues to be the Bill and Melinda Gates Foundation. As a result of their involvement in Africa, the pay for doctors working on HIV/AIDS grew significantly in many countries. However, investigations have found this leads to a “brain drain” out of basic care and towards more high-profile diseases, severely undermining the viability of the existing healthcare system. Basic and sustained care is of paramount importance to the disabled community. The availability of services, for instance, affects how a family is able to help their child, says Gopal Mitra, a programme specialist for children with disabilities at UNICEF. “With lack of services, we see families hiding their disabled children because of stigma,” Mitra told IPS. “But where there are rehabilitation services, families are much more positive and the solutions are more holistic, because at the end of the day the families want their child or adolescent family member to make the best in life,” said Mitra. By any measure, MDG programmes have helped save lives, decrease malnutrition and put more children in schools. Yet as result of reductions in mortality, a greater number of children in the developing world are surviving illness, only to be left severely disabled. Without parallel growth in long-term care, disabled survivors can be neglected, he says. This new responsibility can weigh on a national health system already depleted by the incentives offered by foundations. International development guidelines are bereft of language on necessary follow-up, says Mitra. The attention span of the aid community is no greater than the metrics and guidelines that direct it, he says. It was not until 2007 that the U.N. Convention on the Rights of Persons with Disability – with a few notable exceptions, including the United States – was signed and ratified. Thirteen years after the MDGs were first articulated, delegates promised that when the current set expires, the world’s largest minority would be included in post-2015 development goals with specific language. “We believe that persons with disability should be held as beneficiaries in all development activities and as full participants in the development,” said Reen Kachere, Malawian minister of disability and elderly affairs. Disability groups hailed the event. For representatives like Minister Rubi, who is blind, the convening was an important step and one he couldn’t have predicted until recently. “When I lost my sight at 18, I never thought I would end up speaking on this issue at the U.N.,” Rubi told IPS. Groups like Handicap International are cautiously optimistic. They know that altering the conversation on a rights issue is a painstakingly slow process. The sluggishness is no more evident than at the United Nations itself, where in the 2013 MDG Report, among its 59 pages, disability is mentioned but once. And only two days after the high-level meeting, when the issue should have been fresh in the minds, the release of an outcome document on achieving MDGs remarkably made no mention of the issue. In Part Two of this series, IPS looks at why disability may have been ignored in international guidelines. It is so hard to read this. Mainly because I have become familiarized all over again with Haiti’s strife of life. Haiti ranks the poorest country in the world. Many Haitians still do not have secure dwellings, but rather have a spot on the ground with a spot of fabric held up by sticks. They still have no clean drinking water and food is scarce to nil. I believe that despite citizens falling victim to shortcomings or shortfalls in their own countries, nothing could ever compare to what the Haitian people live with on a daily basis. Some countries in Africa fell victim to food shortage and water drought, but seem to have overcome the worse obstacles.